Welcome to Ralph Dimaio Millwork DiMaio Millwork Corporation is a high-end architectural millwork firm which has effectively served commercial, institutional, educational, hospitality and residential clients for nearly forty years. 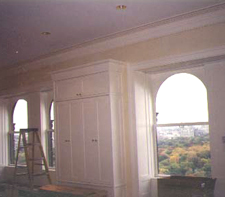 With its state-of-the-art equipment and its team of skilled craftsmen, DiMaio Millwork Corporation is capable of handling the most sophisticated, complex projects while maintaining specialized attention throughout. 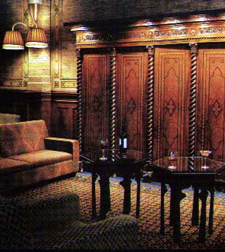 DiMaio Millwork Corporation was formed in 1972. In 1984, Ralph DiMaio, Jr. became the President and sole owner of the company. Mr. DiMaio had a clear vision of treating each and every project as an opportunity to maintain a consistent level of woodworking excellence, and to improve techniques at every stage of manufacturing wherever and whenever possible. To that end, he assembled a team of highly focused and devoted craftsmen who shared his goals and ideals. 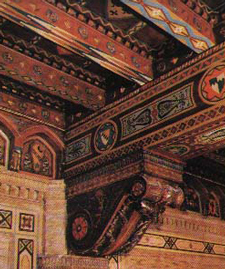 Mr. DiMaio also realized that it was absolutely imperative that the work fabricated by his craftsmen be installed by his company craftsmen in the field. He knew that the only true way to ensure complete client satisfaction was to install the items built in his shop with his company’s own workforce as well. Not only do our installation craftsmen know the “ins and outs” of high-end millwork installation, they also have an extensive background in shop fabrication. Very few, if any, millwork fabricators can make that claim today. In fact, if one were to ask our competitors who it is that actually performs the tasks of installing their products, one would find out that most, if not all, subcontract that end of their work out. With DiMaio Millwork Corporation, these philosophies have become the core values of this company. 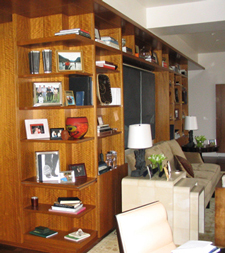 Quickly approaching a half-century later, the pursuit toward excellence remains DiMaio Millwork Corporation’s highest priority. The company is continually seeking new technologies and improving time-tested, Old-World craftsmanship to turn out only the highest quality products to its clients. 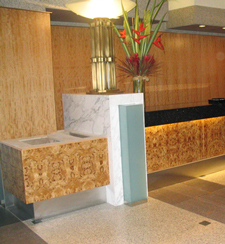 DiMaio Millwork Corporation offers their technical expertise gained through their years of working with solid woods, exotic veneers, lacquers, polyesters and pigmented finishes. 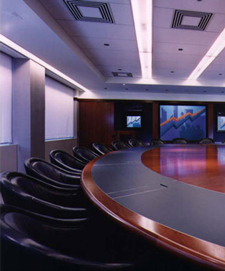 In addition to millwork projects, DiMaio Millwork Corporation offers veneer lay-ups, decorative panels, and custom furniture. Our 30,000 square foot facility is located in Yonkers, NY, which is convenient to the entire NY metropolitan area. We ship our product and provide installation services throughout the northeastern U.S. DiMaio Millwork Corporation’s state-of-the-art equipment includes tape-less veneer joinery machinery as well as CNC overhead routing. Teaming with qualified specialists, DiMaio Millwork Corporation successfully integrates metal, stone, and glass into the client’s designed product. Seasoned and professional project managers. Engineering detailers who understand the architect’s vision. Consistent, dependable estimating. Fast track ability. Delivery of high quality craftsmanship, service and value. Self-performed installation of our fabricated materials Quality control of your project from inception through installation. Inspections of installed work and tours of our facility will gladly be arranged. DiMaio Millwork is available to assist with engineering, detailing, sample preparation, budgeting and other services as required to help your project run smoothly.